Sanlitun is among the most cosmopolitan and dynamic area of Beijing. This is a logical place to rent a serviced apartment here, close to the best districts for bars, restaurants and venues. This is a place for fashion shops, high street retail, nice places inside Beijing and it is a place whre everything is at hand. The reason why this is a place for expatraite is historical. This place was chosen to be the Beijing diplomatic compound, where all the foreign embassies were gathered before the had the right to move in other Beijing places later on. In the past years, with the opening of Beijing to the world, this has been a place chosen as a showcase for the modernity of China. This is now why Sanlitun become one of the first place with a large expatriate presence in China and it is still the case today. The name Sanlitun means the “place at 3 Li”, around 1.5 kilometers from the ancient Beijing walls. This can seem strange today as it is clearly a downtown area, Beijing has extended itself in all the directions. About the embassies, many of them are still located in Sanlitun, such as the embassies of Germay, Belgium, Spain, Hungary, Turkey, South Africa, Switzerland, Norway, Morocco, Australia, Saudi Arabia, Sweden and Italy. 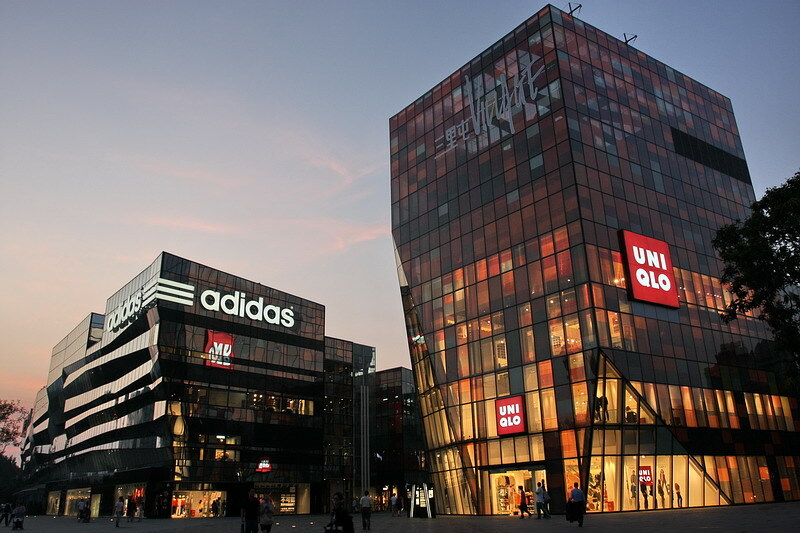 The whole area is now centered on the “Sanlitun Village”, places designed by Kengo Kuma, with the presence of many brands, this is the place for design and fashion in Beijing, sometimes with very prestigious brands or with temples for cheap clothes such as the Yashow shopping center. Another landmark just at the west of Sanlitun Village is the Worker’s Stadium, a place with sport venues and concerts. Here is a list of serviced apartment compounds around Sanlitun. This is west of Sanlitun, next to the ancient gates of Beijing and now the second ring road. Convenient with direct access to the apital airport.